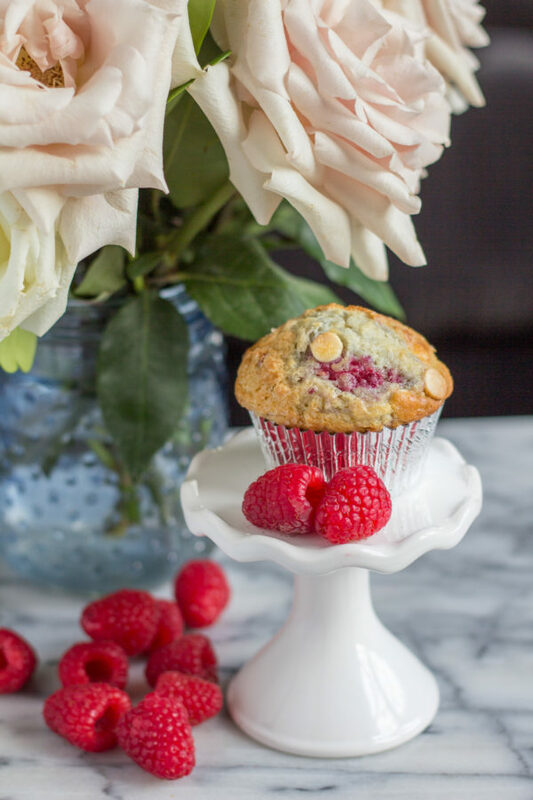 These Raspberry White Chocolate Muffins are my absolute favorite. I have broken down the steps to making bakery style muffins at home. 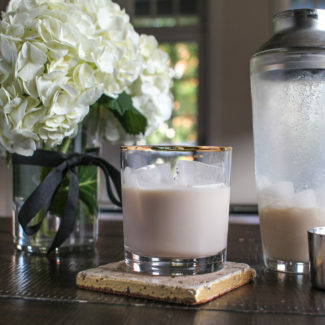 You will make these again and again. 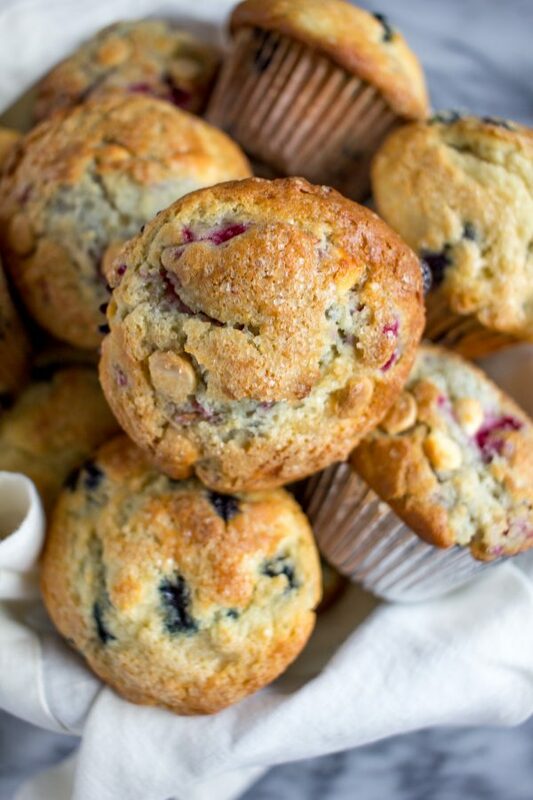 Raise your hand if the muffin top is your favorite part of a muffin! Well, I can’t see you, but I can’t be alone here. 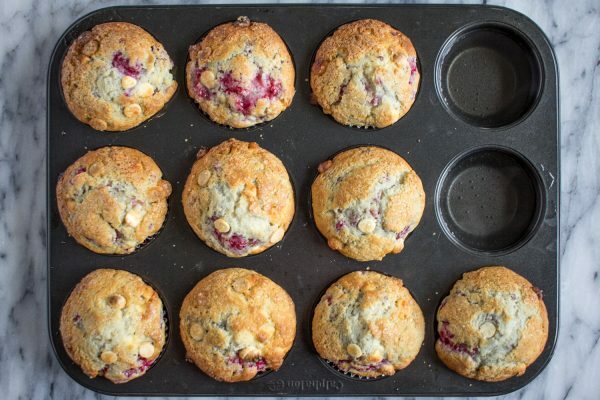 I tested this recipe for Bakery Style Raspberry White Chocolate Muffins five times before I arrived at a recipe for moist fluffy muffins with a perfectly domed top. I would like to think that it was time well spent. 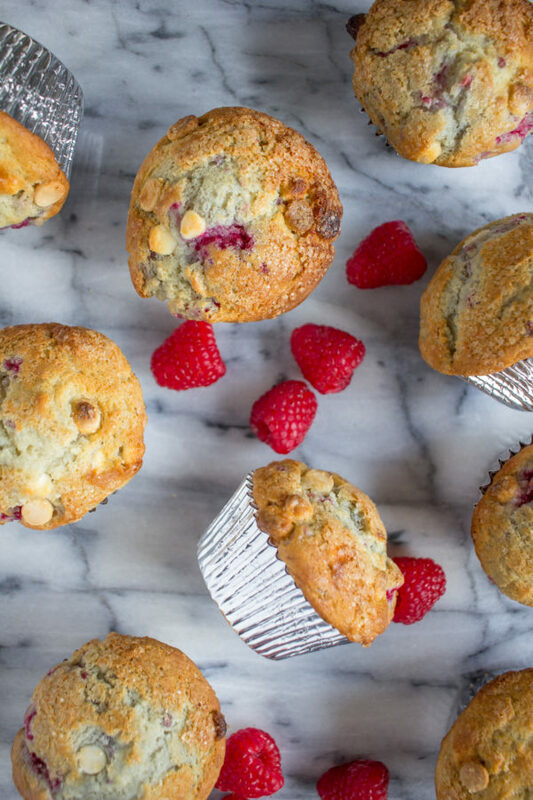 The combination of raspberry and white chocolate was inspired by Merriland Farm, a farm and restaurant in Maine that makes the most incredible muffins. I wasn’t sure where to start with the project of recreating the muffins at home, so I started with a recipe that I found online. The recipe made flat sad muffins. I wanted muffins with a firm sugary top, just like the muffins at Merriland Farm. After some recipe testing, I have arrived at a recipe that I love. 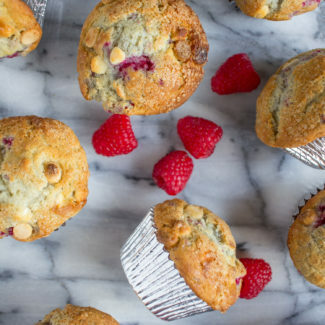 These muffins have fresh tart raspberries and sweet white chocolate. The two pair perfectly. 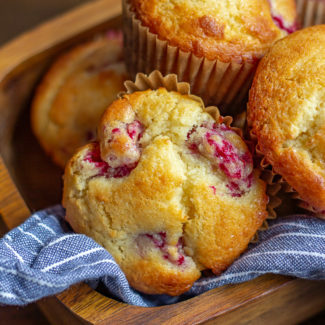 There isn’t much sugar in this recipe, but the muffins get extra sugar from the white chocolate. I highly recommend taking the time to warm up the muffins before you eat them, they taste even better when the chocolate is melted. 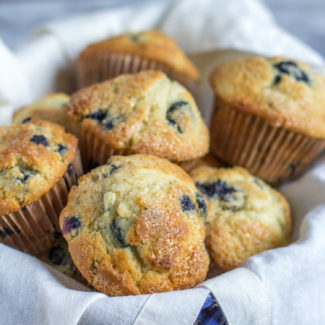 The holidays are just around the corner, and if you are looking for something to bring for the host or hostess I think these muffins would be greatly appreciated. 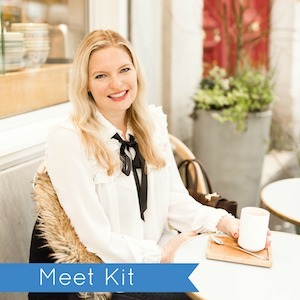 People are exhausted after hosting a party and I am sure that any host or hostess would love to have a treat to enjoy the next day. Heads up – this recipe comes with rules. Baking is a science. 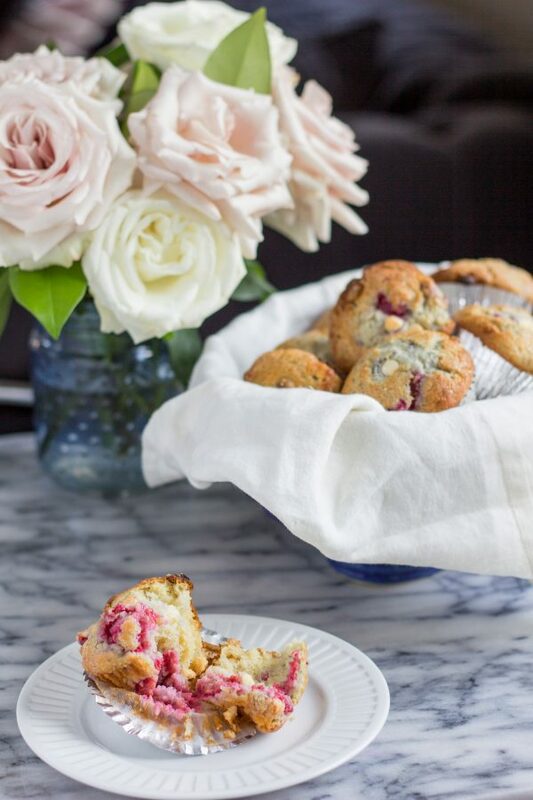 You might be tempted to make a dozen muffins instead of ten. Don’t do that. You need to fill the cups in order for the muffin tops to form. Under filling the cups is one of the top reasons for muffin top failure. Once I pour the batter into the muffin tin, I top each muffin with some melted butter and a sprinkle of raw sugar. I like to use raw sugar because it is bigger and gives a little bit of crispness to the muffin tops. 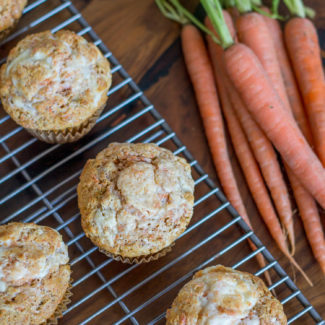 If you want to read more about muffins and how to adapt your muffin recipe to achieve perfect muffin tops, read this blog post. Heat your oven to 425 degrees. Fill a muffin tin with 10 muffin liners. Then use an electric mixer to combine the butter and cream cheese. Once well mixed, add the granulated sugar and mix on a medium high speed until the mixture is fluffy. This will take about 2 minutes. Remove the bowl of the electric mixer, you want to fold everything together by hand. Fold the flour mixture and buttermilk into the ingredients in the bowl from the mixer. Stir in a third of the flour mixture, then half the buttermilk, another third of the flour mixture, the remaining buttermilk, and then the remaining flour mixture. Fold together until it is just mixed - don't over mix. Let the batter sit for 15 minutes (this gives the baking powder time to do its thing). Pour your raspberries and white chocolate chips into a bowl. 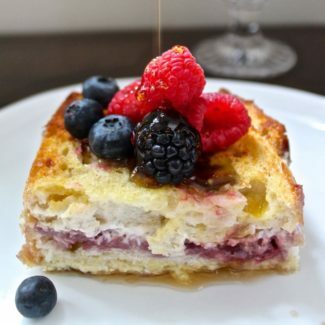 Dust with a tablespoon of flour and gently stir to coat everything in flour. 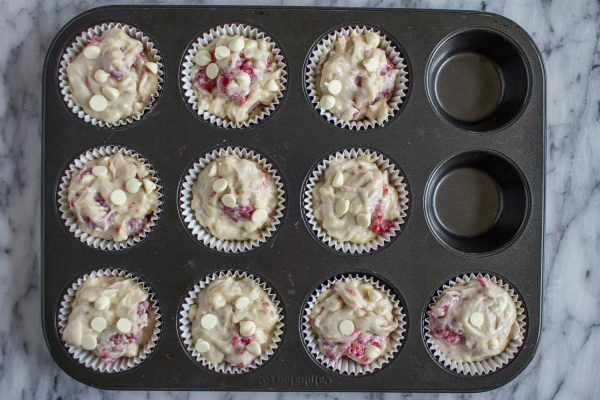 After the batter has rested, very gently fold in the raspberries and white chocolate chips. 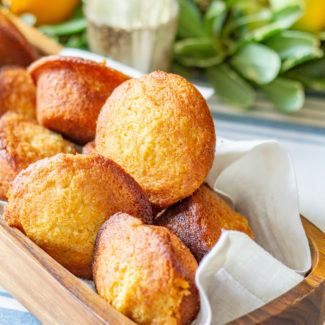 Pour the batter into 9 or 10 muffin liners, filling them all the way to the top. Then top with the melted butter and then raw sugar.